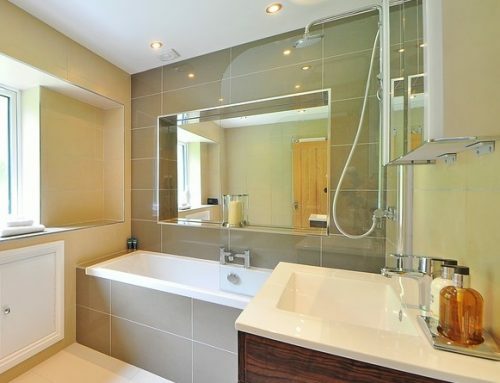 Space is often one of the biggest constraints when performing a bathroom renovation. 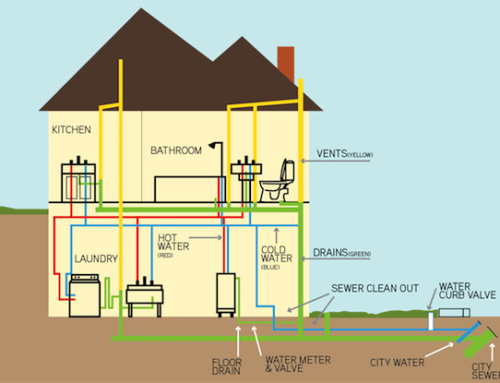 For most projects we cannot simply tear down a wall and use another room for increasing the size of the bathroom. Hence it is paramount to be creative when remodeling and ensure every inch of space is utilised effectively. A corner bathroom vanity is one way to maximise space in your home. The basin and mirror are a high usage combination for tasks such as washing hands, shaving and applying makeup. Placing these in the corner of the room can free up a lot of space which can be used for other features. 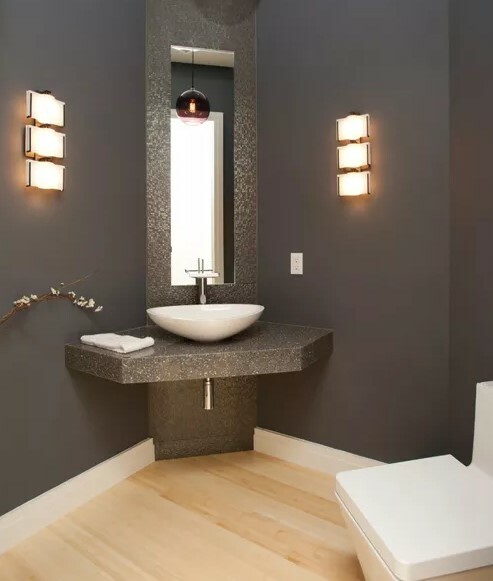 Here are some corner bathroom vanity designs which do this perfectly. 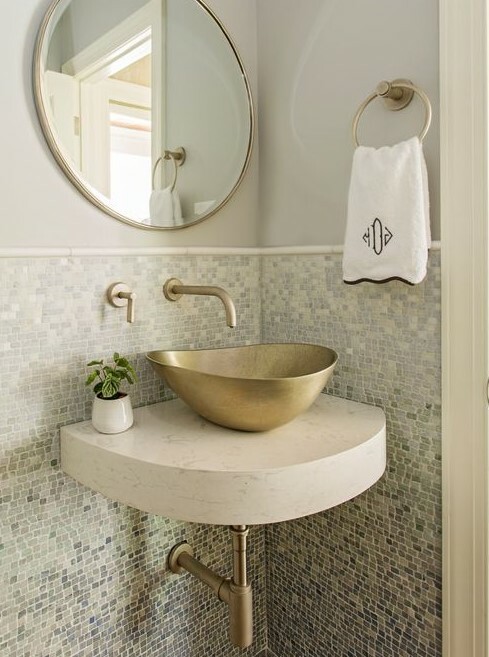 A contemporary bathroom with mosaic tile and a vessel sink. Mirror goes to the ceiling. 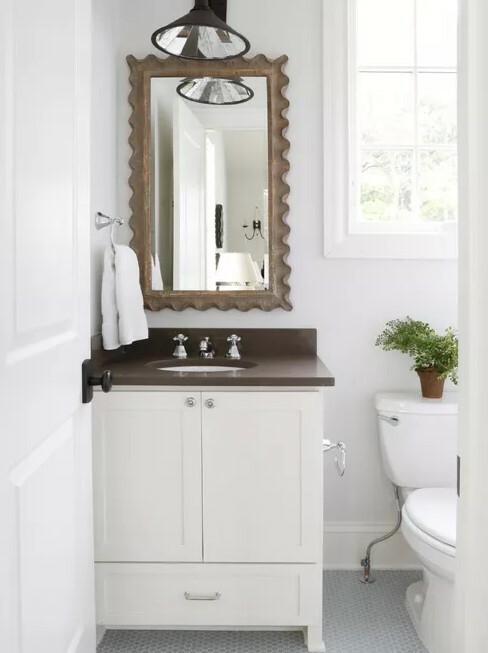 A small transitional powder room with grey walls, dark hardwood floors, a vessel sink, brown floor, multi-coloured tile, mosaic tile and engineered quartz benchtops. 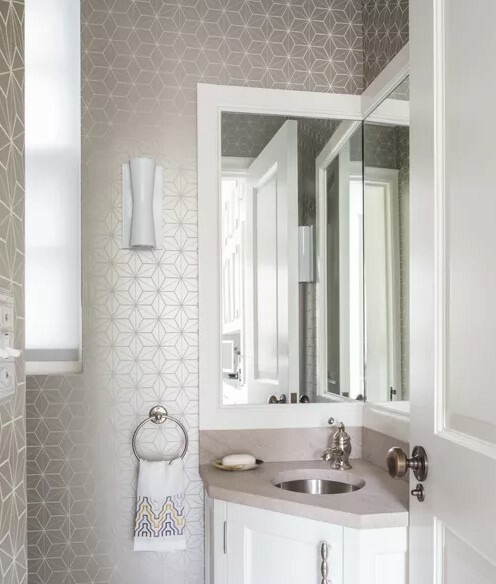 This corner bathroom vanity showcases a marble washbowl and angular commode set against an eye-catching tile backsplash and custom lighting solutions. 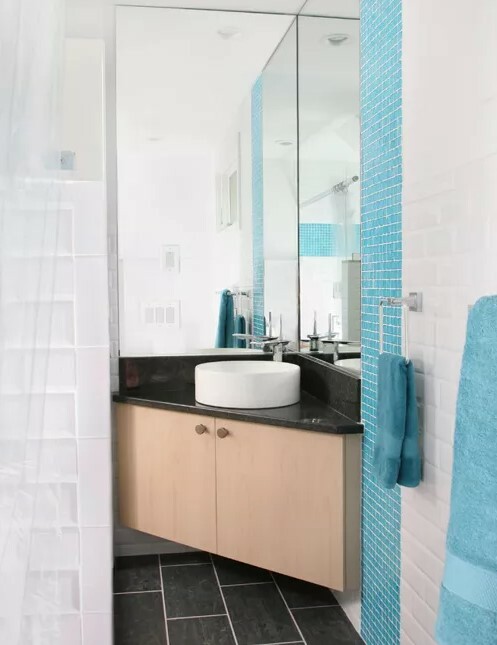 A mid-sized traditional bathroom with an undermount sink, shaker cabinets, blue tile, mosaic tile, white cabinets, a freestanding tub, granite benchtops, a corner shower, a two-piece toilet, blue walls and ceramic floors. 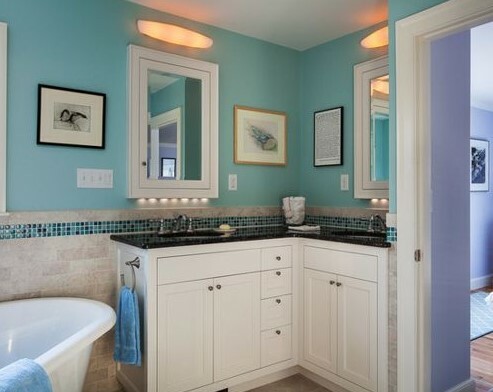 A transitional powder room with shaker cabinets, white cabinets, a two-piece toilet, white walls, mosaic tile floors, an undermount sink and blue floor. A small bathroom with an undermount sink, recessed-panel cabinets and white cabinets. At My Bathroom Melbourne we are experts at maximising space in a small bathroom. 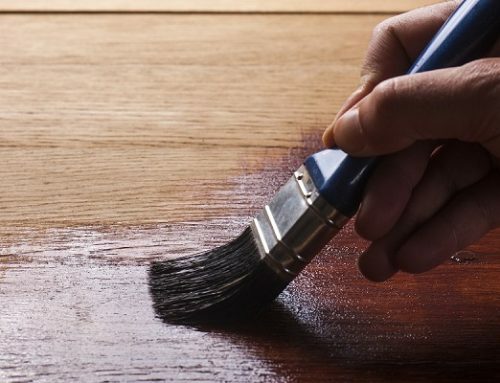 To find out more about our renovation services call our office on 1300 842 736. For all projects we utilise cutting edge software to generate a 3D image of how your bathroom will look, prior to commencing the remodel.